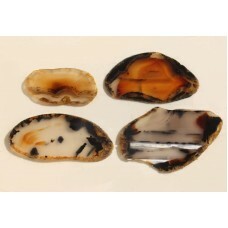 A collection of five nice Montana Moss Agate slabs showing a variety of patterns. 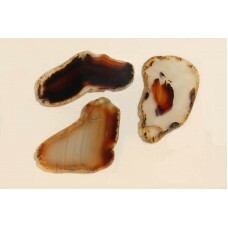 These slices are from material originally collected back in the late 80's. There are a few fractures as can be seen in the photos. 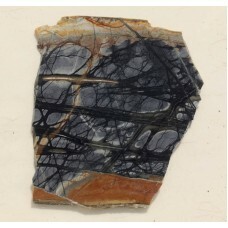 Fractures are fairly common with Montana agate nodules. In the top row, from left to right, the thickness of the slabs are about 4.1 and 3.9 mm. In the middle row, from left to right, the thickness of the slabs are about 4 and 5.1 mm. In the bottom row, the thickness of the slab is about 5.9 mm.